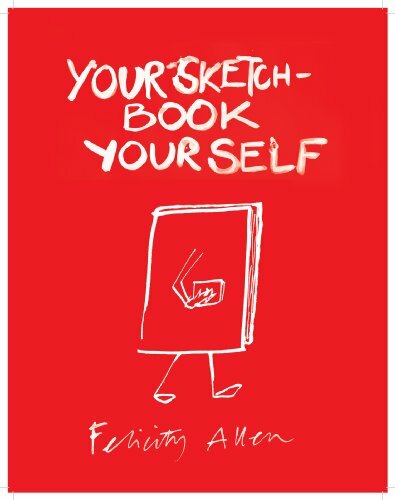 Your Sketchbook Your Self is a beginners guide to anyone who wants to start a sketchbook. It's written in a friendly casual way that's easy to read. The book covers ideas on drawing, rather than the actual process of drawing. There aren't any hands-on exercises. The advice are on what can be put in the sketchbooks, like using mixed media, annotations and not worrying about messing things up. It's more on the process of keeping the sketchbook, rather than the product of the work. Also included are examples of how others, like Picasso and Turner, have used their sketchbooks. It's a nice book for beginners but at only 48 pages, it's too thin and ends fast. Somehow the book reminds me of Sketch Book for the Artist by Sarah Simblet but this is a much condensed version.